Instructions for Use of “Araluen” Cross Country Course for Schooling or Private Clinics. 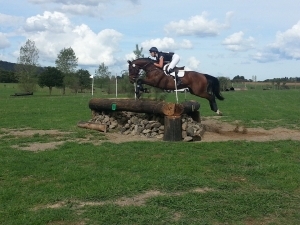 All use of the Cross Country Course is entirely at the rider’s and instructor’s risk. This notice must be sent out by the organizer, to every rider. Clinics may be cancelled at short notice, should ground conditions not be suitable. The course is closed 28 days before any scheduled event. All riders must be under the care and control of a NCAS qualified and registered coach, in possession of the appropriate EA Insurance Coverage. A reminder that renewal of Registration is due each September. Unregistered means Uninsured! Cost is $35 per horse (not per rider). For insurance purposes, all riders must be EA members or BHT members. Rider names, their EA Numbers and numbers of horses, should be emailed by the organizer 2 days before the booked training day to Berrima Horse Trials secretary, tina.stafford@bigpond.com . Currency of membership will be checked with EA. The gate off the Highway (Kardinia Lane) will be unlocked. This gate must be kept closed at all times. All parking will be in the usual parking paddock inside the gate. “Araluen” is a working farm. There are natural hazards such as rabbit holes, ditches, fencing wires, rocks, stumps etc which may be concealed by long grass. In addition, there may be barbed wire across the tops of jumps for cattle control. It is therefore the task of the instructor in charge of the group to check for these hazards. Please leave all gates as found – it they were shut, leave them shut, and if found open, leave them open. There are horses and cattle on the property. The water obstacles may or may not contain water. They will not be filled for clinics. There are flushing toilets even when there is not a full scale event being run…everyone uses the unlocked MEN’S toilets. Horses must not be ridden on the jumping arena or the jumping warm up arena. There is no permanent running water at “Araluen” outside of an event, and all riders should bring sufficient water to wash horses down as well as for drinking. All rubbish must be taken home. This includes any tape used on horse boots. The organizer must collect the fees and preferably pay them by direct debit to: Berrima Horse Trials BSB 802-101 A/c 53539 OR send a cheque to Tina Stafford, 567 Meryla Road, Moss Vale. 2577. Fee must be paid within 7 days and a confirmation email sent to Tina. Enquiries: Tina Stafford tina.stafford@bigpond.com, Ph. 4868 1285 or 0408 896 230. Neither the Organising Committee, Berrima Horse Trials Inc., nor the owners of the grounds accept any liability for any accident, damage, injury or illness to horses, owners, riders, ground spectators, or any other person or property whatsoever. This is an absolute condition of using the Cross Country course.